What is LOVE, Dr. Cookerly? 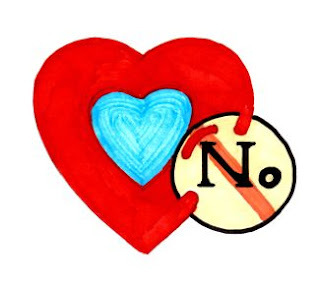 : How To Say "No" with Love! Pamela had a terrible time saying “no” to the people that she cared about. Her heart would pound, palms sweat and stomach churn every time she wanted to say “no” to a loved one’s request.She would think up endless explanations as to why she had to tell them “no” but the excuses never sounded good enough to her, plus they often were phony and that didn’t feel good either. As she internally struggled to find a way to say “no” and make it OK she would start to resent the person who was asking her to do something she really didn’t want to do. She also started to resent herself more and more for being so weak. Sometimes she would try to say “no” but then she would be afraid she was going to hurt somebody’s feelings and they wouldn’t like her anymore and she would worry that this meant she wasn’t a good person. In the end she almost always would give in and say “yes” to whatever was being requested of her. That often repeated internal struggle, made her dodge those who might ask for favors and it robbed her of any pleasure she might have derived from doing what was requested. John was quite different than Pamela. He could say “no” to anyone but it always came across as cold, distant and uncaring, or angry and defensive. Both John and Pamela mistakenly thought that being loving meant one always had to give in and say “yes” to friend’s and loved one’s requests. It would be selfish and unloving to do otherwise. Pamela tried to be nice and ended up being sacrificial while John chose being tough as he tried not to care that people might see him as mean spirited. Both John and Pamela did not know that one can say “no” with love and get good results for all concerned. To be able to say “no” with love and do it well here are some things that usually help get the job done. First, let’s look at how you might think with love when facing the dilemma of whether or not to say “no” to someone you care about. 1. Focus on the concept that in the long run mixing your truth with your love is likely to be a better gift of love. Reluctant acquiescence can lead to a halfhearted effort poisoned with resentment. Furthermore, giving someone you care about a phony “yes” when your true self wants to say “no” may help sabotage your relationship with that person and it may help you feel badly toward yourself. Giving them phony, good sounding excuses just helps you develop a habit for deceit while giving an unloving “no” tends to be abrasive and may be relationally destructive. 2. Focus on the great wisdom of the ancients who taught “Love others AS you love yourself” (see Entry “Loving Others AS You Love Yourself???”). The idea is to find ways to give love to another when you have to tell them “no” in order to take care of yourself. Saying “no” is often an act of healthy self-love. The trick is to simultaneously mix it with various ways of being loving toward the person asking something of you. Therefore, seek to find the most loving way you can be while you give them a “no” answer to their request. 3. Ask yourself, is your habit of saying “yes” when you want to say “no” fear-based. When you contemplate saying “no” do you fear you will be disliked, rejected, get into a long, drawn out hassle, feel guilty, have to come up with excuses, reasons and explanations as to why you’re saying “no”, face retaliation, or what? Remember, fear-based responses are very seldom truly love-based responses. Perhaps you would do well to choose a braver way to respond. 4. Are you one of those who have been trained to only say “no” if you can come up with an outstanding, guilt free, permission giving excuse for saying “no”? Excuses are, of course, based in deception and they often try to hide the real reasons. Consider that deceit, even when successful, usually doesn’t help us grow stronger. Therefore, consider the concept that as a free, equal adult you may not have to give either false or very detailed answers, explanations, defenses or any additional statements past your simple “no” answer. It also might be that no one really may be listening to your justifications anyway. Or if they are listening they just might use your excuses, defenses, etc. to try to talk you out of your decision. 5. Remember, healthy self-love involves self-care and saying “no” with love is an okay answer even if others don’t react all that well to it. A truth is that those who say “no” well are often respected, liked and sometimes even loved more than those who reluctantly get talked into saying “yes” too much. Often saying “yes” may represent frequent, needless sacrifice where no one will suffer harm because you said “no”. However, you might suffer for saying “yes” and sacrificing your self-care. Now that we’ve covered how your internal cognitive process might work let’s look at how to actually behave with love when facing the dilemma of whether or not to say “no” to a request from someone you care about. 1. Take a few seconds to ‘center yourself in love’ internally. You might do that by taking a deep breath, touching both hands to the center of your chest and silently thinking something like “I center myself in love, strong healthy self-love and love of another. I reject being fear-based, anger-based, defensive, etc. I reject giving false excuses, acting insensitively, or acting needlessly sacrificially. I center myself in love and I will act from and with love”. 2. Internally choose to care about the person you are going to say “no” to. Perhaps they will be disappointed, frustrated, perplexed, hurt or even angry. You can show them some care for their bad feelings right after you have said “no” to their request. You don’t have to change your answer to do that. 3. Purposefully chooses to have a loving look on your face as you say “no”. Perhaps a look of concern, possibly a smile, perhaps a soft and compassionate expression but certainly not one that shows weakness, indifference or negativity. 4. If you’re saying “no” face-to-face or on the phone choose to speak in loving tones of voice, perhaps cheerful and friendly, or soft and caring and definitely not wimpy, fearful, angry or in any way negative. 5. In face-to-face situations an additional way to show love is to add loving touch possibly in the form of a pat, or a squeeze, or a gentle stroking and maybe a hug. 6. In face-to-face situations show love by choosing to send a positive postural message, perhaps by slowly leaning forward, opening your arms, moving a bit closer, etc. 7. To show love when giving a “no” answer to a request include loving words possibly like terms of endearment, or saying “friend”, or “dear”, or saying “I care”, “I understand”, “For you I wish I were saying yes”, etc. If you are a person who has trouble saying “no” with sufficient, loving firmness I suggest you rehearse in front of a mirror and do that rehearsal in both standing and sitting postures several times. Frequently it is only by rehearsal that we form new, better habits to replace old, lesser effective habits. While rehearsing be sure to listen to your voice because voice tones are often the most important part. Many people are not practiced at sounding both loving and firm at the same time, so that in particular is a thing to practice. Perhaps you have accidentally taught others that you are a self-sacrificing “yes” sayer by saying “yes” too often to too many things. Therefore, it may take some time to teach others you are getting better at self-care. Keep at it and you will get there. Also know that just because you could do something doesn’t mean you should do it. Wearing yourself out and down with too many “yes” answers is not good for anyone in the long run. Here’s a special word of caution. If saying “no” in a love relationship situation gets you markedly punished psychologically, behaviorally or especially physically something may be seriously wrong in your relationship. Perhaps your love relationship needs more democracy, equality, fairness, tolerational love or better adult-to-adult dynamics. Therefore, consider individual, couple’s and/or family counseling. 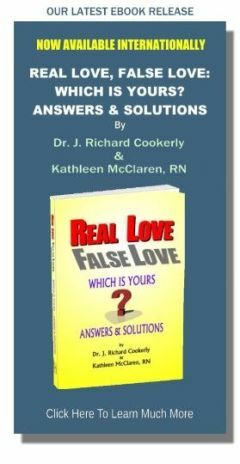 Remember that in healthy, real love “no” has to be an okay answer, i.e. unpunished. Especially is that true when it is delivered with sufficient love. There’s a lot more that can be said about effectively and lovingly saying “no” but hopefully this will help you get started. One other thing. If you know someone who seems to have trouble saying “no” you might suggest they read this blog. Does the way you were told “no” by your parents (or significant others) in childhood now have an influence on how easy it is for you to say “no” lovingly?